The Melbourne launch of Sheep, Goat and the Creaking Gate is this Sunday at Collingwood Children’s Farm (CCF). I’m really looking forward to it. But before the day, there’s a cake to be made. A sheep cake? Nah. A goat cake? Uh-uh. Of course! A gate cake. How hard could it be? For how many people? Hmm, there’s the kicker…I have no idea. Sunday is Family Day at CCF and it’s also goat day. I’m hoping there will be kids of the goat variety as well as the child variety. So how big to make the cake? Yesterday, I attended a 6 hour grammar refresher course run by the Society of Editors (Vic). I grew up in a time where grammar was not formally taught and my grasp of the rules is intuitive rather than anything else. I can usually get by, partly from practice, partly by ear. Most of the attendees confessed to similar issues…we are able to recognise something as being wrong but have not the language or analytical skills to deconstruct the actual fault. It was an intense time. Sooo many grammar rules (and exceptions), so little time. But Glenys Osborne our tutor powered through and by the end of the day we were all reeling. Time to disappear into the stimulus-free room and let the refresher sink in. The notes, examples and worksheets might help too. The day-long course probably could be expanded to at least twice that without running out of material. And that’s with people already working intensively with the language as writers and editors. Pretending is fun. Last night at choir, I pretended I understood what those little black dots on lines were. Actually I do find them useful, and I sort of know what they mean, I just don’t know their names. And when it comes to understanding how to find a note, or ‘drop down a semitone’ I’m seriously lost. But fortunately this is a community choir where there are many others in the same boat, so we all flounder along together. Today I’ll be listening to secondary school students order crepes in French. Although my paternal grandmother was half-Belgian (french speaking) and taught me a little French and I learned French at school for a few years, I retained little. Today I’m buried in early Australian settlement history. Non fiction. Yes, but I still need pretend. Only by pretending can I begin to imagine what life must have been like then. I went to my local kinder for my fortnightly reading session this morning. I was running late and grabbed a handful of books to take with me. One of them was I Spy with Inspector Stilton by Judith Rossell. Usually my main audience is girls with a couple of boys flitting in and out as their restless legs will take them, but today the balance was different. They LOVED Inspector Stilton, boys and girls both. I had boys fighting over the right to find the things on the page and several times had to halt the ‘finding’ to get the boys to remove their heads and bodies from the page! After Inspector Stilton the boys stayed too, for me to read different books, ones from the kinder bookshelves. That led to a conversation about me having to go home and do some work, that work being writing stories. I’ve been going to the kinder with this group all year, and it’s the first time most of those boys have come to join the reading with me, let alone ask questions about who I was and what I do. They were intrigued with the notion of someone actually writing stories as a job, and also with the idea that I’d brought books written by people I knew. One other link…I’d taken Sally Murphy’s ‘Pemberthy Bear’ illustrated by Jacqui Grantford and also another story ‘Squeezy Cuddle, Dangly Legs’ Jacqui has illustrated. They were very interested to see a picture of ‘Pemberthy Bear’ book in ‘Squeezy…’ It seemed to make sense of the notion that books are created, do not merely appear. 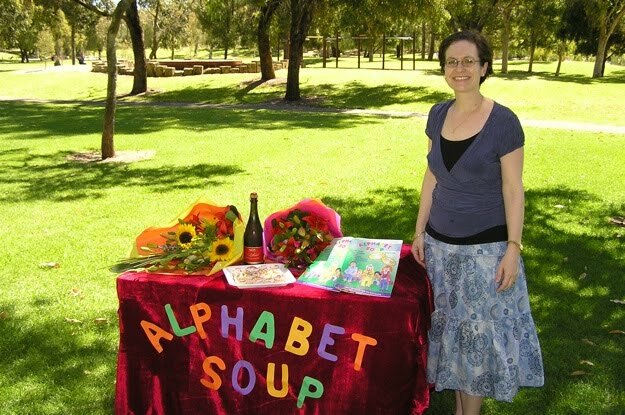 Today my visitor is Rebecca Newman, publisher of ‘Alphabet Soup’ a magazine for 6-12 year old readers. I was interested to learn about the magazine and it’s genesis. 1. 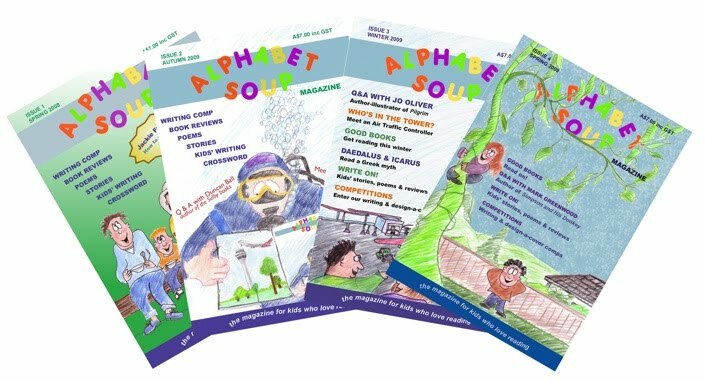 Is Alphabet Soup Magazine available both online and in print? 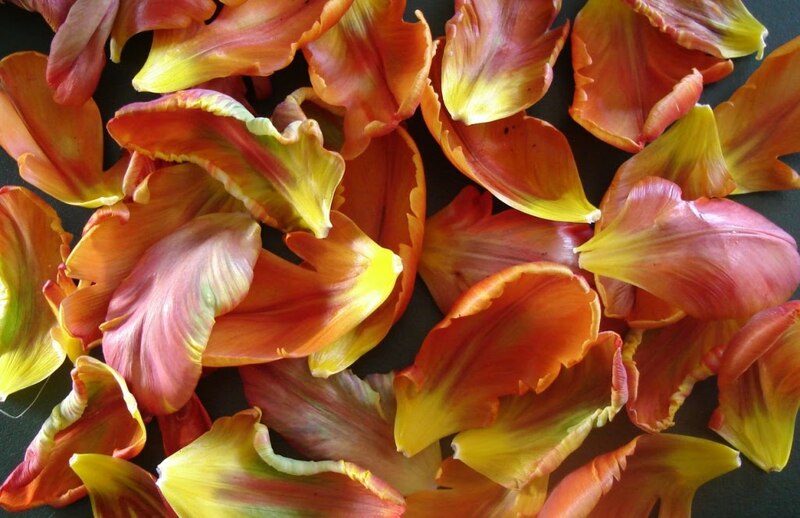 Occasionally we will offer snippets from the magazine online as well. 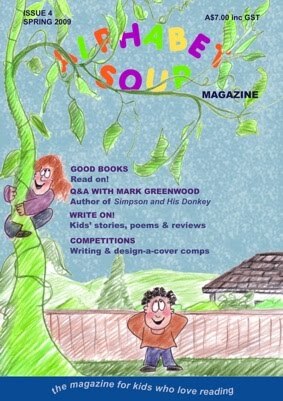 We currently have our Q&A – with author Mark Greenwood – on our blog (www.soupblog.wordpress.com). In the magazine we print our author interviews over a double page spread, and we have to edit the answers down to fit the space available. Mark’s answers were so interesting that we decided to post the full interview on the blog, so you can read all the extra stuff there! 2. How do you promote the magazine? This interview is part of Alphabet Soup’s first Blog Tour, which is very exciting! We send copies out to reviewers and have had reviews on a number of websites: Aussie Reviews, The Book Chook and Busy Mothers. We send a number of promotional copies of each issue to Australian schools and libraries, medical waiting-rooms etc. I’ve been interviewed on Radio 720 in Perth (very nervous I was too, but Geraldine Mellett was a fantastic interviewer!). We have a blog, a facebook page, and we’re on twitter. So if the magazine is reviewed somewhere, or we have news, book reviews, or details of kids’ writing competitions around Australia, all that will go up on those sites. 3. Who is your main readership? Alphabet Soup is aimed at children aged 6 to 12. The bulk of our subscribers are families with children around ages 9 to 10. 4. How is it available to readers? i.e. Where can they get it? You can subscribe (and purchase single copies) online from the ‘subscribe’ page of the website. (Paying by credit card online, or downloading an order form to post with a cheque or money order.) The website also lists prices for delivery to overseas addresses. We offer special rates for Australian libraries and schools who wish to subscribe. In Western Australia, single copies of the magazine of the current issue are currently available through Westbooks (Victoria Park) and Zero to Ten (South Fremantle). We are in discussion with stockists in other states. 5. What are you offering that you felt wasn’t available elsewhere? When I was growing up, our family joined the Puffin Club (run by Penguin). Membership included a quarterly magazine, Puffinalia, with book reviews, writing competitions and author profiles. We read every issue cover to cover! Now I have a daughter who is an avid reader, and I thought of subscribing to Puffinalia for her as a birthday present – but discovered it was no longer available, and there wasn’t anything similar published in Australia. There were several magazines publishing solely children’s writing, but nothing like the old Puffinalia, which had a blend of quality adult-written material, children’s writing, and extras like interviews with children’s authors and illustrators, and writing competitions. So Alphabet Soup was born. We aimed to publish a magazine for children (and their parents) who may not be interested in what the commercial ‘tween’ magazines are offering. 6. What is the best part of producing a magazine? Well, the best part about producing this magazine would be reading through all the submissions for the ‘Write On!’ section (stories, poems and book reviews by children). Kids are writing some fabulous stuff, and they get a real thrill out of seeing their writing in print. One parent wrote to me and said that the day their first issue arrived, her daughters had played publishers all afternoon and made their own magazine in the style of Alphabet Soup. I love hearing stories like that! I also love meeting the amazing people who work with children’s books – authors, illustrators, booksellers, publishers – so far everyone I have approached has been delightful. There must be something about people who work in the children’s book industry! 7. What is the biggest challenge? Marketing is definitely our biggest challenge! As Alphabet Soup is a small home-based business, we don’t have a huge marketing budget. Luckily we weren’t in a screaming hurry, and planned to take things slowly for the first year or two. So we’re marching on, and the feedback has been very positive and encouraging! It’s been great visiting Let’s Have Words. Thanks for having me around! Editor Rebecca Newman will be visiting on September 3 to talk about the new (fourth) issue of Alphabet Soup. She’ll share the inspiration behind her decision to produce this magazine and let us know what’s in the new issue.